Monstress comes out TOMORROW, and I totally feel those butterflies, that nervous flightiness that I haven’t felt in some time. I care about this book — a lot — and it represents the collective hard work of a small, dedicated team of writer, artist, editor, letter, translator (and, fairly new to us, intern). Your support of Monstress — you readers, retailers, peers, friends, family — means the world to us. Thank you, thank you, thank you. I’ve been doing a ton of interviews, and some reviews are finally popping up. This, from Vox.com is probably one of the nicest I’ve ever received, and hits home what Monstress is about (“The dazzling new comic Monstress explores why we fear powerful women…”). 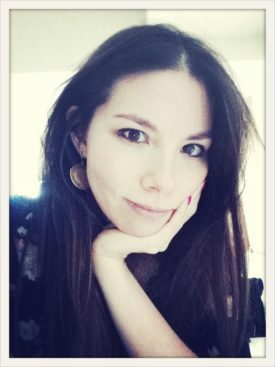 Another recent interview is with The Beat — I discuss Monstress, diversity, and what it means to be an Asian American writer. In that same vein is this two-part interview with Nerds of Color. You can read Parts One and Two, respectively (“You know how kids get obsessed with different things? Some kids get obsessed with vampires, some get obsessed with zombies. I was really obsessed with the apocalypse. I always thought it was just around the corner. Part of that is from my grandparents, growing up in the ‘80s, listening to the news about the Cold War and all of that. The apocalypse was on my mind.”). On November 7th I’ll be signing at Comicopia @ 464 Commonwealth Avenue in Boston from 1-3 pm. On November 8th I’ll be signing at Midtown Comics @ 64 Fulton Street from 1:30 – 2:30 pm. I’ll have buttons to give away! And in a week or so I’ll announce two more signings — one in Austin, Texas — and the other in Muncie, Indiana. Thanks again, everyone! We love you all! I hung out with my other boyfriend today. Shhh! 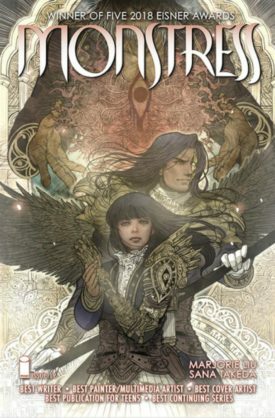 I gobbled up Monstress last night and just want to say how much I enjoyed it! The artwork is just amazing and I’m so looking forward to the next issue!